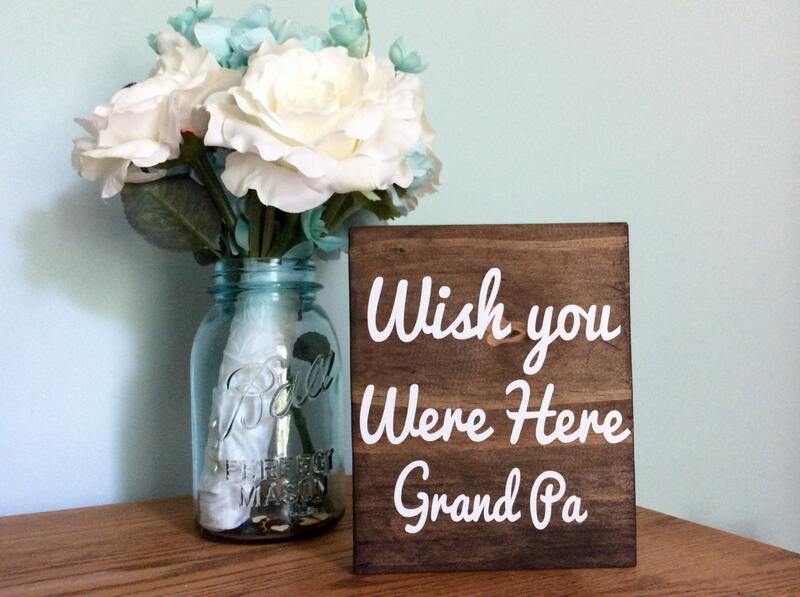 This sign is a perfect way to honor the loved ones we have lost. It would be beautiful sitting on a wedding table full of photos or on a chair reserved just for them. * WHAT YOU GET * One stained pine board with white outdoor vinyl detail. * MEASUREMENTS * Each pine board sign is 6" wide by 7" tall. *WHAT YOU DO* Please provide the name of your loved one in the comment box at check out.